Don’t be a part of the problem. Fraudulent service dogs create serious issues. 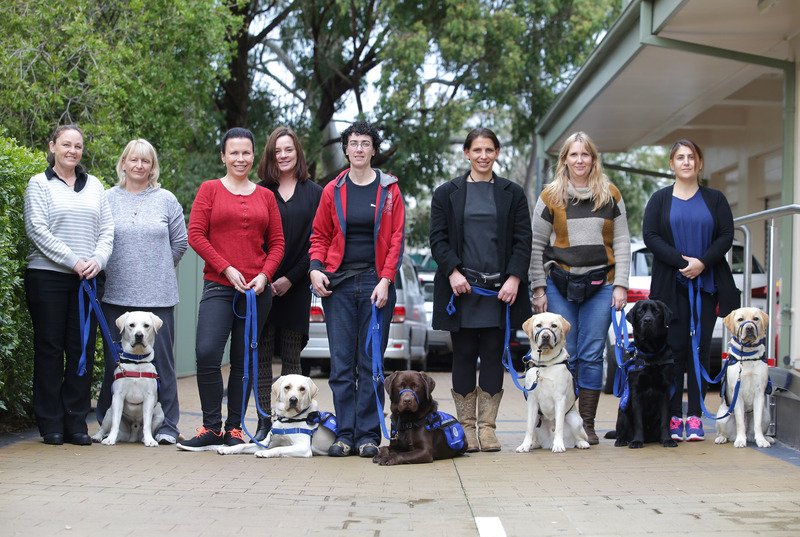 July 24, 2016 | Santa Fe, NM and New South Wales, Australia—As more and more people with disabilities are paired with assistance dogs to help them lead more independent and productive lives, service dog teams are becoming an increasingly familiar sight in public places around the world. But how many of these dogs are just pets in vests? This year during International Assistance Dog Week (IADW), August 2-8, assistance dog training groups around the world, including the members of Assistance Dogs International, a coalition of not-for-profit assistance dog organizations setting standards for the industry, are holding events and doing outreach to educate and raise awareness about the harm being caused by untrained pets posing as service dogs. When these fake service dogs behave badly, people who truly need assistance dogs can face added discrimination and lose access to public places, both violations of anti-discrimination legislation. Recently, more and more legitimate partners of accredited service dogs have been asked to leave businesses, being told that it is because the shop or restaurant has had so many people try to pass off their unruly pets as accredited service dogs, they now suspect all dogs as fakes. President of Assistance Dogs International, Richard Lord, from Australia, says that many member organizations have reported that fake service dogs have increased dramatically within the last few years. “A major part of the problem is with online sales of service dog jackets and service dog certifications and ID cards,” Lord explains. Easy access to cards and vests just adds to the ease of committing fraud. The fact that very few countries have national laws around the proper use of a service dog makes prosecution of fraudsters very difficult. Complicating matters in some countries for businesses concerned about the legitimacy of a purported service dog is that only limited inquiries are allowed, according to standards such as the Americans with Disabilities Act. Under that act there are two questions that staff may ask: (1) is the dog a service animal required because of a disability? And, (2) what work or task has the dog been trained to perform. A business also has the right to ask a person to remove their dog if its behavior is out of control or a threat to others. 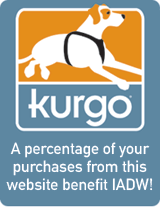 Service dogs are more than a vest purchased for a few dollars online. They require years of expert training to perform specific commands and provide calm, reliable assistance to people with disabilities, including veterans and first responders injured while fighting for their country or supporting their community. Don’t let anyone be denied the benefits of a trained service dog when they truly need them. Help us expose service dog fraud and stop the discrimination it can cause. When looking for an assistance dog we recommend that you deal with an organization accredited by Assistance Dogs International or the government accreditation body in your country. Please report fake assistance dogs to your local authorities. Help us celebrate the hard work and devotion assistance dogs provide to their partners by participating in International Assistance Dog Week. Visit www.assistancedogweek.org for more information. International Assistance Dog Week (IADW) www.assistancedogweek.org was created to recognize all the devoted, hardworking assistance dogs helping individuals mitigate their disability-related limitations. During International Assistance Dog Week, we raise awareness and educate the public about how these specially trained animals are aiding so many people in our communities and honor puppy raisers and trainers. IADW was established due to the efforts of Marcie Davis, a paraplegic and CEO of Davis Innovations, a consulting firm based in Santa Fe, NM. Davis is the author of “Working Like Dogs: The Service Dog Guidebook,” and the host of the “Working Like Dogs,” on www.petliferadio.com. Assistance Dogs International (ADI) www.assistancedogsinternational.org is a coalition of not for profit assistance dog organizations and an IADW partner. The purpose of ADI is to improve the areas of training, placement, and utilization of assistance dogs, staff and volunteer education, as well as educating the public about assistance dogs, and advocating for the legal rights of people with disabilities partnered with assistance dogs. ADI has a comprehensive accreditation system and members have to be regularly assessed to ensure they meet the high standards expected of assistance dog programs.